When you’re a leading worldwide insurance company, conflicting data can significantly impact operations and financial stability. From providing exceptional customer service to handling millions of dollars in transactions daily, there is absolutely no room for error. You have one chance to get it right. Recently, Data Ladder and leaders from an insurance giant partnered to ensure the accuracy of their data. It was a perfect match for both companies, and from the beginning the results were phenomenal. 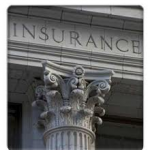 The existing system being used presented some challenges for the insurer. Their system did not have a hard edit function, where payee names can pre-populate. Operators were able to key in any type data into the fields. When queries were run, long lists of duplicate information were produced. This resulted in multitudes of problems, especially with names not aggregating appropriately. Because of the strict compliance requirements of the insurance industry, these type of issues required constant attention, resulting in a loss of productivity performance and lower financial viability. The insurer knew that having clean and accurate data was critical to future success and compliance. The specialists at Data Ladder went to work immediately. They walked the users through Data Match 2012, the flagship software of Data Ladder, using its fuzzy match capabilities to reconcile the name issues. Once those issues were reconciled, they put to use the data cleansing portion of the software to remove special characters. Afterwards, they used a special identifier on each record in question and were able to replace all names accurately. The issues were quickly and accurately resolved, resulting in significant cost savings and ensuring accuracy with regulatory compliance. Moving ahead, this premier insurance company was able to use Data Match 2012 and Data Ladder to ensure their success in the future with data cleansing. With the full support of the Chief Financial Officer, this company continues to rely on Data Ladder across all divisions of the company. To experience the same exciting results with your data cleansing issues, go to our website and download a free trial. We are confident that our partnership will quickly resolve your data issues and result in significant financial performance.